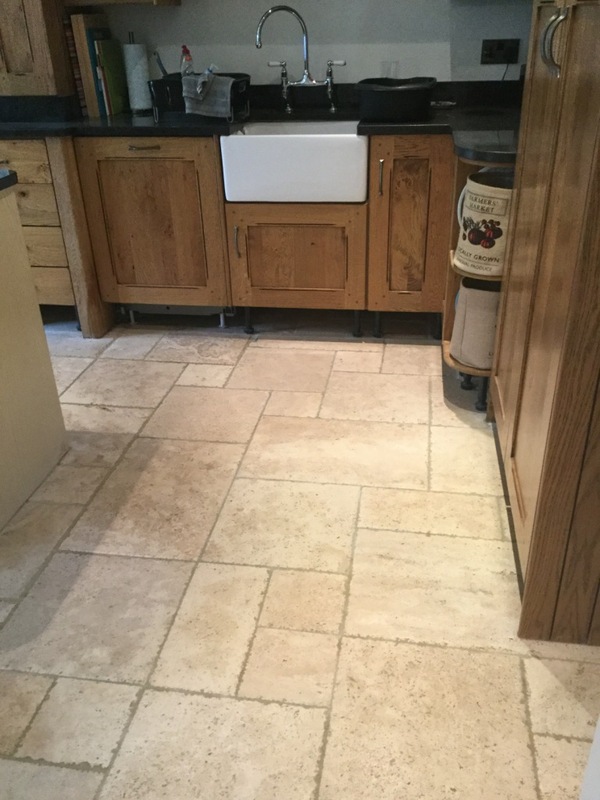 Travertine floor tiles are very appealing but without the protection of a sealer they will soon suffer, fortunately this can be remedied as demonstrated in these pictures of a Tumbled Travertine floor at a house in the Village of Clophill in the Flit River Valley South of Bedford. 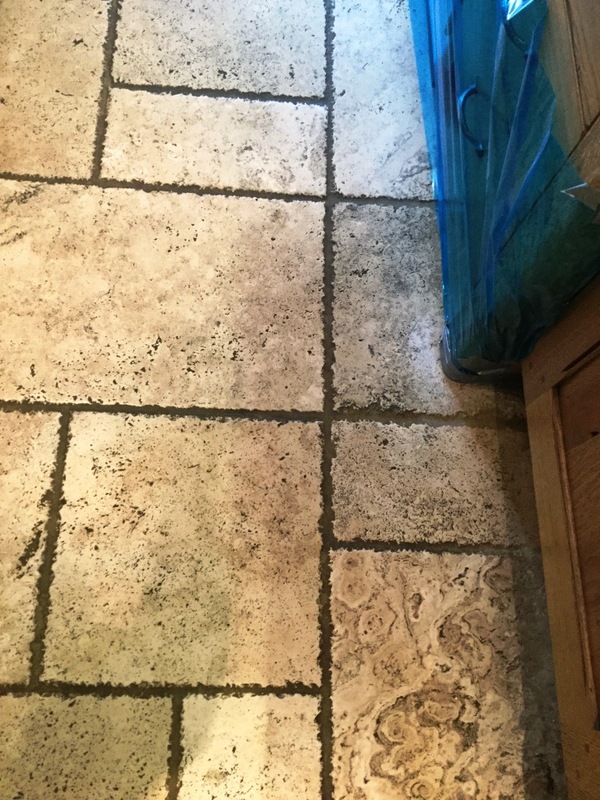 This customer had called me out as her ten year old floor was looking very sorry for itself and she was concerned that a lot of holes were appearing which was making cleaning of the floor difficult as dirt was getting trapped in the holes. 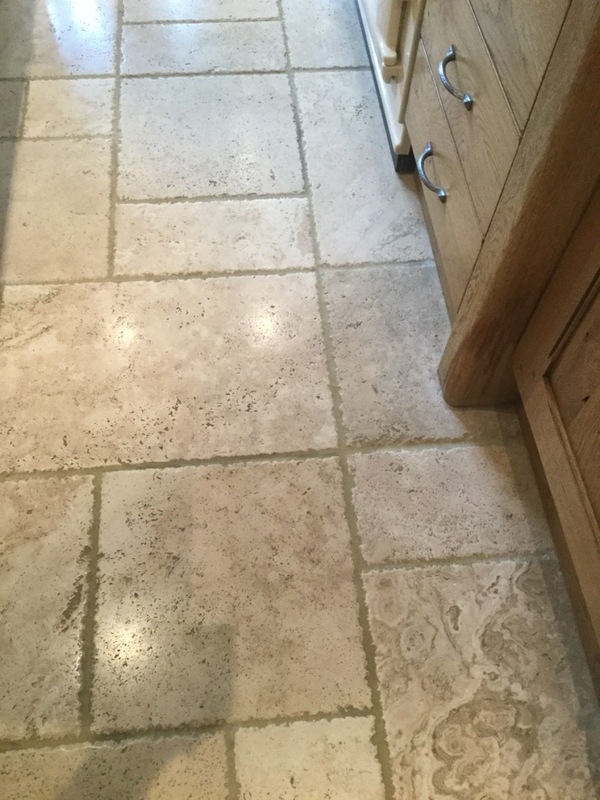 I went over and carried out a test clean on two separate tiles in the kitchen and the customer was amazed at how clean they came up and especially the grout. An appointment was made for the next month and work commenced. The first thing we do is to protect the lovely Oak kitchen units by removing plinths, covering base units and appliances with a protective film. 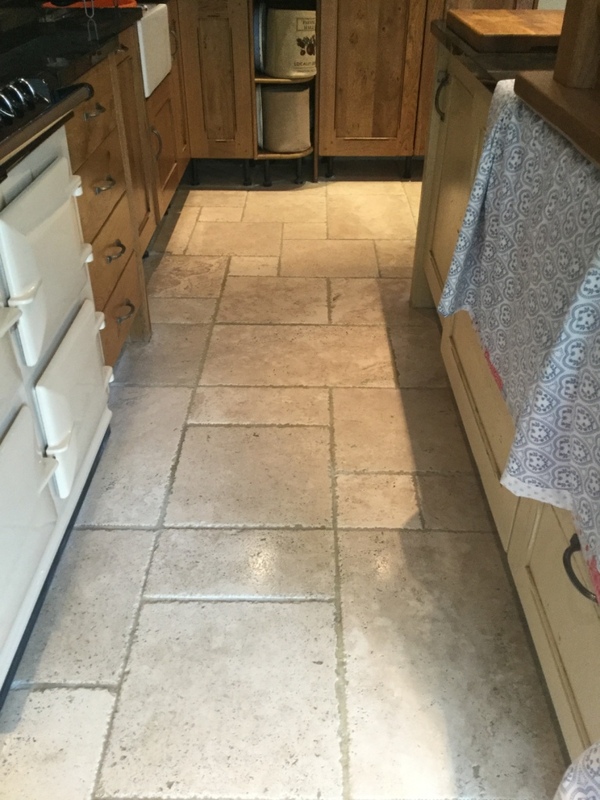 We then commenced work by burnishing the stone with a set of Tile Doctor Diamond encrusted burnishing pads. The pads are applied individually to each tile in sequence starting with a coarse pad and finishing with the fine pad which brings up the polish. A little waster is used to lubricate the process along the way and the floor is rinsed in-between each pad with the resulting residue extracted from the floor using a wet vacuum. The process takes quite some time but the results are well worth the effort. Once this was done our attention was turned to the grout which being recessed is difficult to reach by with pads. So for the grout a medium dilution of Tile Doctor Pro-Clean is applied to the grout lines and scrubbed in with stiff brushes by hand. 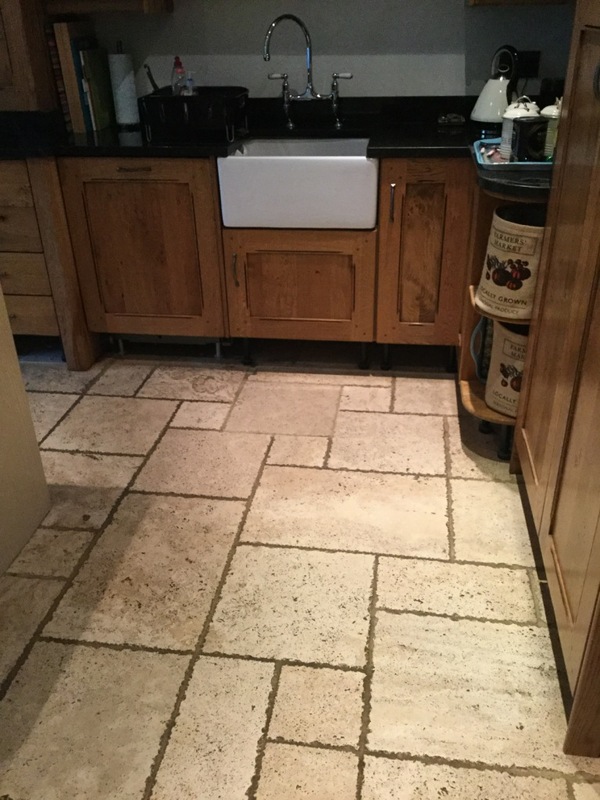 The floor was rinsed again and fans were used to assist drying before filling the holes with the same filler the customer had used previously to match the colour of the stone as much as possible. When we returned the next day the floor had dried and we were able to give the floor a final polish with a very fine burnishing pad. 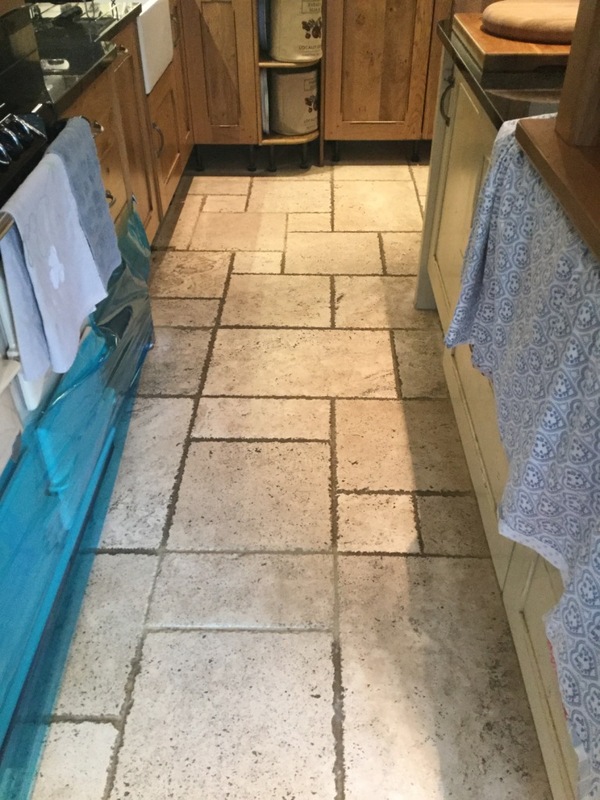 The floor was then sealed with two coats of Tile Doctor Ultra Seal which provides excellent protection without changing the colour of the stone to provide a natural look. My customer was delighted with the results and kindly left the following testimonial on the Tile Doctor Feedback system.